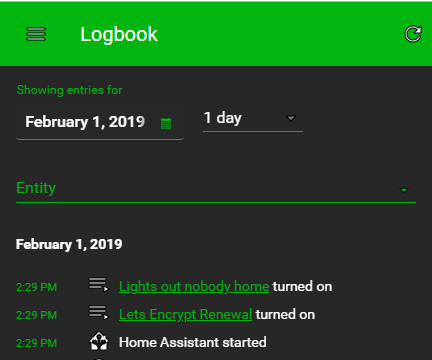 I’ve modified the Slate theme to be more green, and in the process I’ve modified the Calendar/Date-Picker and Entity drop-down menus on the History and Logbook tabs. 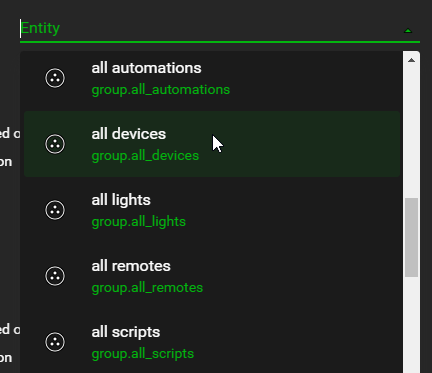 I think I’ve got this in a final state, have commented what I’ve modified, and added variables to make it easier to follow. Please let me know if anything is broken or unusable and I’ll attempt to repair it. Hey this looks great! 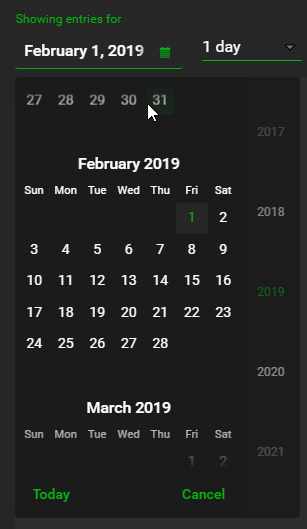 I never could find anything on how to change the calendar fields and colors. I’ll have to delve through this and update Slate.